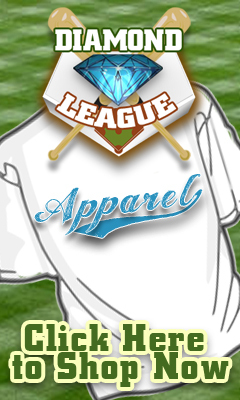 Tryout Information--Become a Diamond League Player! There are many benefits for players to be playing in the Diamond League. The Diamond League is known across the state and beyond as the #1 league in Ohio by college coaches. We have a winter showcase where we have 25-30 colleges attending every year. In addition, by being in a league, you are guaranteed games during the week. Non-league teams tend to cancel games or not schedule games during the week. In the southern U.S., baseball is played year around so players are playing 120 games in a year. In a cold weather locale such as Cleveland, it is important to take advantage of the summer months and play baseball. Our league is about top competition and improving skills with weekday games to go along with weekend tournaments. 2019 Diamond League 18-16-15U Teams Now Posted !! The Diamond League is a highly competitive league based in Northeast Ohio. Many of our players move on to play in college while some are even drafted by Major League Baseball. The foundation of our league is not only the high quality of our teams, coaches and players but also its sportsmanship and fair play.